ON CD Acknowledgments: "We give eternal thanks to God, The Creator." Sounds Of Blackness Choir has a very long history, which began in 1969, when Russel Knight formed a choral group at St. Paul, Minnesota's Macalester College, called The Macalester College Black Voices, with the goal of continuing the legacy of Duke Ellington. When Gary Hines, a junior at this college, was hired to be the group's musical director, he brought along some new ideas and goals for this group. Under his leadership, this college-formed choral group became an available musical force for the enjoyment of the whole community, performing an expanded repertoire which concentrated on a wider scope of African American music, including all the aspects of black music. * To make social statements they felt strongly about. 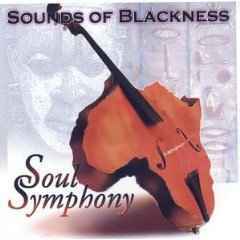 For the next 15 years or so, Sounds of Blackness were active giving concerts in and around Minneapolis / Twin Cities area, and opening for musical acts ranging from the Jackson 5 to Hampton Hawes. They kept their growing fan base happy by also releasing their own albums: IMAGES OF BLACKNESS(1974), IMAGES OF BLACKNESS 11 (1976) and THE NIGHT BEFORE CHRISTMAS (1978), which was redone in 1992, using much better technology. 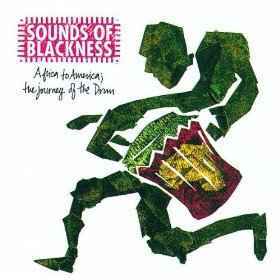 Though approached by many major record companies, who wanted them to "streamline their musical sound" or even change their name, the Sounds of Blackness stayed independent and self-reliant because they wanted to stay the course set by their established goals, keeping their choir's uniqueness and purpose intact. Gary Hines explains in a gospelflava.com article, "We had been approached by many music labels following the first three independent projects. However, they all approached us with an image that they wanted us to portray. In all cases, the changes that they were asking for were simply unacceptable. We refused to limit ourselves in that manner." Sounds of Blackness continued in their established course of performing in these regional concerts, while earning a living by working in a variety of careers and professions. Gary Hines, besides being the groups musical director, was also talented in not only songwriting but could write plays; Gary began writing musical stage plays for the group which became the inspirational "source and substance" for albums to come in the 1990's. 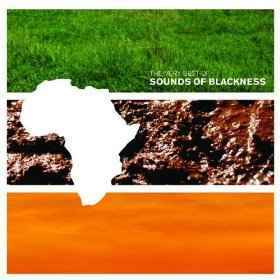 However, the Lord had a bigger plan in store for Sounds of Blackness. Circumstances and timing came together with professional musical performances to result in a new broader road to travel for Gary Hines and Sounds of Blackness, making their musical efforts a full time occupation. 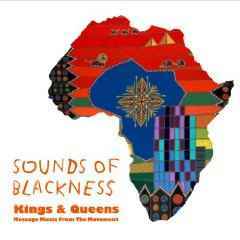 In 1989, the Sounds of Blackness were being considered yet again as a possible group to sign up by a newly formed label, Perspective / A & M, owned by well known song writers and music producers, Jimmy Jam and Terry Lewis, old acquaintances of Gary Hines and the Sounds of Blackness, who Gary had kept in touch with throughout the 1980's. 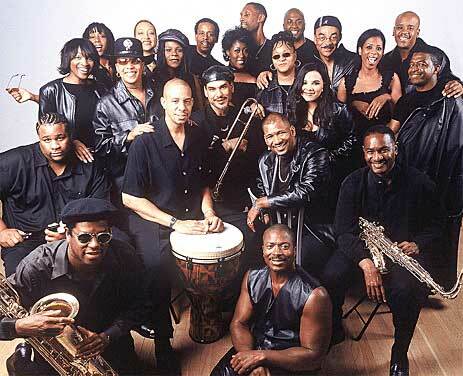 Jam and Lewis brought Janet Jackson to a Sounds of Blackness concert, entitled "Music for Martin", a tribute to Martin Luther King, to get her opinion of this choral group. It just so happened that at this concert, a sister of S.O.B. member, Shirley Graham, by the name of Ann Nesby was encouraged to sing with the choir by her sister and Gary Hines. Nesby's performance was a big blessing to both the choir and the audience, including Janet Jackson. 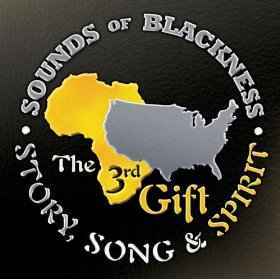 Ann Nesby was asked to join the choir by a very impressed Gary Hines, and Janet's enthusiastic endorsement of Sounds of Blackness, quickly resulted in this great opportunity for the Sounds of Blackness to reach a national audience, with a contact offer by Jimmy Jam and Terry Lewis. Jam and Lewis produced three highly regarded Sounds of Blackness albums, which brought recognition and acclaim from a variety of sources; Critics, fans and the Gospel community. 1990 - THE EVOLUTION OF GOSPEL - This collection of songs not only made Sounds of Blackness well-known and loved, but also made Sounds of Blackness "the first Gospel Choir to make it ok to blend the genres with traditional Gospel music, creating urban Gospel music which speaks to both Christian and secular audiences." 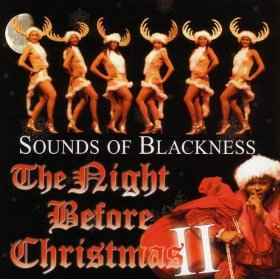 THE NIGHT BEFORE CHRISTMAS (A Musical Fantasy -1992) and AFRICA TO AMERICA: THE JOURNEY OF THE DRUM were all financial successes, and loved by the fans and faith and secular community as well. 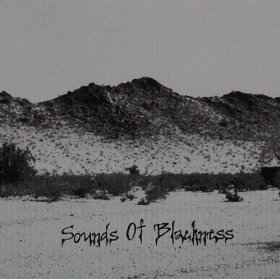 From this point on, Sounds of Blackness continued to roll along throughout the 1990's, continuing to offer their music world-wide as well as nationally. In 1999, they were invited to perform in the Christmas program at the White House!! Their musical sound continues to evolve, becoming "an inspired blend of urban Gospel and elements of R & B, jazz, hip hop, soul, spirituals and traditional Gospel." 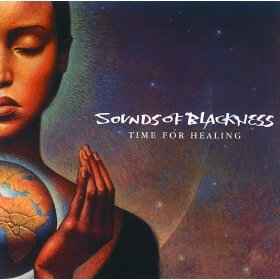 Over the years, Sounds of Blackness earned 3 Grammys, 3 Stellar awards, One Emmy Nomination, International Time for Peace Award, International Dance Music Award and were honored by the NAACP. They have sold more than two million albums, earning them two gold records and one platinum record and have performed for the international community as well. 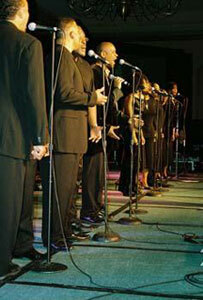 At the 2005 Stellar Awards, held on February 9, 2006, The Sounds of Blackness won their 4th Stellar Award for Contemporary Choir of the Year, because of their work on UNITY. Anne Nesby was also nominated in the Contemporary Female Vocalist of the Year category. Gary Hines shares, "Musically we still celebrate all the traditions of our culture's heritage that have preceded us, and we also continue to grow and evolve creatively just as music itself is continually growing and evolving. There a deeper purpose and a higher calling to all we do. The Sounds of Blackness has always been, and will always be, embedded to taking that message of healing, reconciliation, inspiration, and restoration through the power of music to global community. As long as this earth has inhabitants, it will not only have, but require music to survive. Almost as literally as it requires food and water. That's both the greatest challenge and the greatest joy I can imagine. And it's a calling that has no end and no beginning." 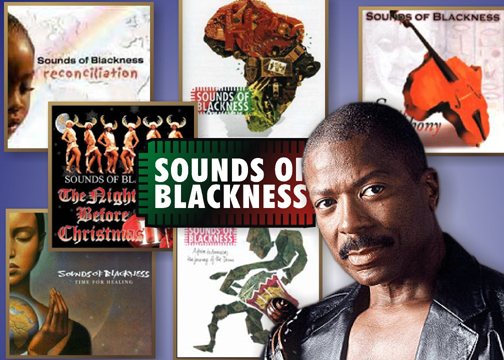 Since 1971, Gary Hines has been at the helm of Sound of Blackness as the talented musical vocal director / arranger of musical material, writing musical productions for the choir and has composed / co-produced music as he has done for this album UNITY. Besides being a wealth of musical talent, it is quite clear from the history reported above, that Gary Hines also has a strong faith in the Lord, and other character qualities and gifts which have kept him motivated, focused, disciplined and positive, with a drive to stay the course. It is always inspiring to find out who or what in an artist / music director's life helped him or her develop all the skills and faith needed to succeed in his / her calling in the Lord's will for his / her musical endeavors and ministry. So, of course, ChristianMusic.com had to ask Gary Hines some questions. 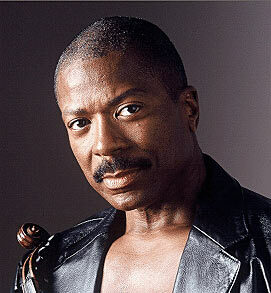 Gary Hines shares with ChristianMusic.com about his early life. Mentors - Who in your life as been a source of guidance, reinforced your character, taught you your important values? “Parents”, my brothers & sisters, Mahmoud El-Kati." One can see that seeds of faith, character development and the love & discipline of music were planted early in Gary Hines, thanks to his mother and father, family, Mahmoud El-Kati, church family and New York City, a place swirling with many kinds of music and opportunities to learn. How did the Lord prepare you for your music ministry? Musical Influences: Artists ( secular and Christian) which influenced you growing up or now which have influenced your singing style, performance skills and / or composing. Any personal testimony you would like to share to encourage others, what the Lord has done for you? Gary shares next about the relationship between life and the art of creating and performing music..
"Music has always been much more than mere entertainment. At its heart, it is a deep expression of the human spirit, unrestrained by the limitations of genre. Music is the lifeblood of the soul, the heartbeat of humanity, and the very pillar of a rich & colorful life." Two-time Grammy Award-winning guitarist LaSalle Gabriel, who was originally with Sounds of Blackness in the early '90's, has come back to produce this wonderful album, UNITY, recording it at his SRL Recording Studios. In 2005 an investment group led by LaSalle Gabriel purchased the legendary Flyte Tyme Studios formerly owned by Jam & Lewis for $7 million. Besides being a gifted guitar player / keyboardist, LaSalle Gabriel also is a talented composer / songwriter and has a mind for producing music and for running a business. 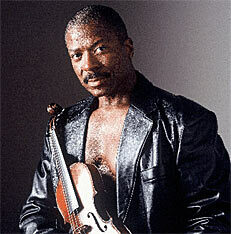 He was the guitarist heard on "The Posse" soundtrack, and was the arranger / guitarist for the "Mo' Money" soundtrack. LaSalle has also produced and scored musical scores for film projects, such as the films "Violation," "The Great Commission." LaSalle Gabriel has written, recorded and toured with many gifted artists, including Prince, Jam & Lewis, Vesta Williams Jamie Fox, Barry White, DJ Quick, Johnny Gill, TLC, After 7, Karyn White, The J Project, James Moore and The Mississippi Mass Choir.